"Organs and Organists: Their Inside Stories" is all about the pipe organ in a refreshingly unusual and manner. 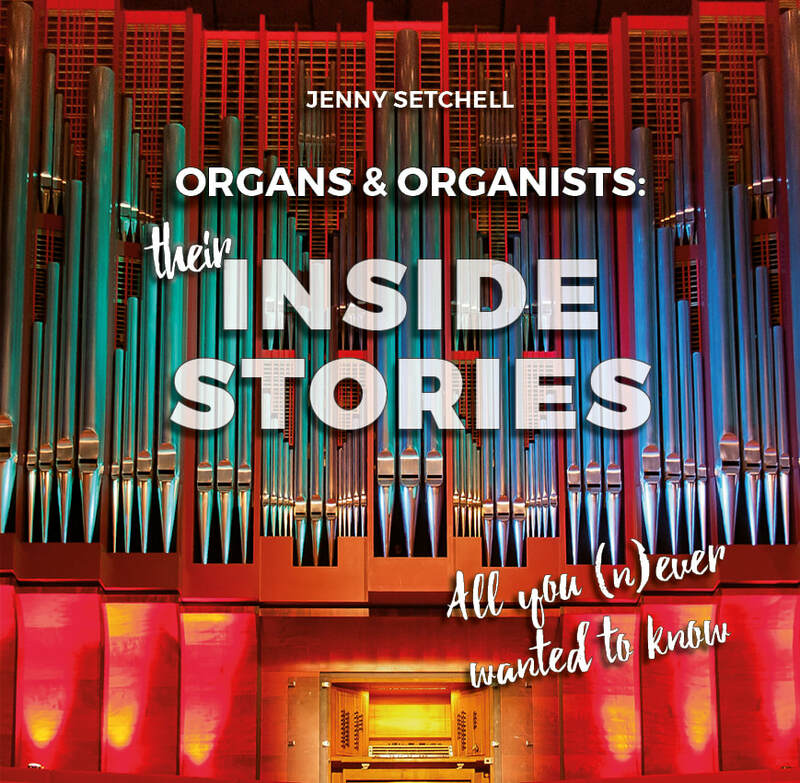 With anecdotes galore, Jenny Setchell unlocks the secrets of the organ for non-players and those who thought they were familiar with it. Hundreds of full-colour photographs and cartoons show what other books only talk about. Buy now from Pipeline Press only $39.95NZD or Australian dollars. Comprehensive list of organ-related links; with organs, organists, organ builders, publishers, CD labels, resources, organ-playing competitions, sheet music, education and more. My wife, Jenny, is a photographer and author, and part of her passion in life is making gifts and souvenirs which feature pipe organs (or parts thereof!) as the images on Zazzle products. The range of goods available is far too big to list here, but I can tell you there are almost 2500 items in her organ goodies shops, organgifts.com. So now when birthdays and Christmas and other special occasions are coming up, you're bound to find something here! Or if you can't see what you want, simply ask by emailing her . Keeps her out of mischief anyway. . .